We’ve all been there, we are driving on the road heading to our preferred destination, and then we glance at the rear view mirror only to be greeted by a sight of flashing blue and red lights, followed by a high police siren. At first we become nervous and begin asking ourselves “Have I done something wrong?” “Why is this happening to me now?” then we start rationalizing, “They just want me to move to the side, please let that be the case.” And then we begin to slow down and start turning our car towards the shoulder of the road, hoping that the police car will pass by, but only it doesn’t, it just keeps following us with its lights, slowing down with us. That’s it, we’re being stopped and the police officer has either determined we have violated a traffic law or may be in the process of violating a traffic law. Many people in these instances feel that they do not have many rights or no rights at all. Many believe that we should just defer to the police officer and obey each and every one of his commands, if we do not we would get into more trouble. However, the truth is that, even during a routine traffic stop, people still have certain rights that cannot be infringed upon by a Police Officer. 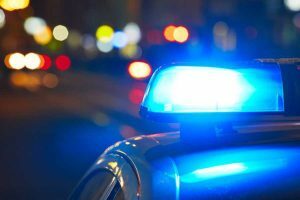 The First thing to understand is that a police officer can request that you pull over if they have probable cause that you have committed or are committing a traffic violation. Probable cause is a legal way of simply stating that the police officer has a reasonable suspicion, which they can articulate that you have committed an offense. What does that mean? Well it means that a police officer has to have a reason to stop you that is more than that they just had a hunch that you were committing an offense. They have to also be able to express to you the reason they stopped you, which is based on their observation of your motor vehicle and driving. If you are signaled or requested to stop by a police office, you are obligated to pull over and stop. Once stopped, if the police officer asks for identification, such as license, proof of registration and insurance you are obligated to provide it to the police officer. You cannot deny the police officer these requests and if you do, it could further escalate the traffic stop and subject you to further violations. YOUR RIGHTS DURING A TRAFFIC STOP. A police officer is required to provide you with the reason for the stop, if a police officer does not provide a reason for the stop, and begins to ask you questions that are not related to the traffic stop, you have the right to ask the officer what the purpose of the stop is, as well as, have the right to remain silent and not respond to their questions. If a police officer indicates that they are stopping you for a traffic violation, such as speeding, careless driving, unsafe lane change, etc. Then you have the option to either cooperate with the officer’s questions or remain silent. A police officer cannot punish you for exercising your right to remain silent. Additionally, if you choose to remain silent, a police officer cannot detain you unnecessarily nor can they prolong the traffic stop merely because you exercised your right to remain silent. Although, there is no fixed time frame for a traffic stop, a police officer is required to use reasonable diligence when conducting a stop, interview or possible search. If a police officer asks you to step out of your car, you must comply with their request and exit your vehicle. The New Jersey Supreme Court has held that if an officer commands a driver to exit a vehicle that it constitutes a seizure, State v. Smith, 134 N.J. 599, 609 (1994), but the seizure is understood to be constitutionally permissible. Pennsylvania v. Mimms 434 U.S. 106, (1977). The Supreme Court has justified that a police officer can request a driver or passengers to exit their vehicle if the police officer reasonably believes that their safety is at risk. Smith supra 134 N.J. at 610-11.5. If a police officer requests to search your vehicle, you as the driver do not have to consent to a search. However, if there is probable cause, then a police officer does have the right to search your vehicle. What this means is if an officer, sees, smells, or through some other reasonable way suspects there may be illegal items in the vehicle then they can search the vehicle. However, if there is no probable cause, and an officer requests to search your vehicle, you do not have to give consent. Many times, police officers will persuade a motorist to consent to a search by implying that the stop will become prolonged until they obtain the permission to search the vehicle. However, a police officer still has to provide a reasonable and articulable suspicion for wanting to search a vehicle. Finally, you always have the right to legal representation, and if you find or have found yourself in a traffic stop where you suspect a police officer has violated your rights, then you should contact a criminal defense attorney to discuss your possible protections and legal recourse.